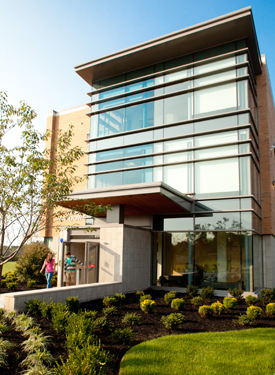 Misericordia University believes that it serves a vital role in the community. Beyond the quality educational opportunities for which we are known, MU offers various cultural events and social opportunities for our students, alumni, parents of students, friends and neighbors. Enjoy concerts, plays, lectures and art exhibits offered by MU talent and nationally known figures on campus all year round. Join our Fun & Fitness program that offers several exercise opportunities for the public in our Anderson Center or just visit our campus and walk the pathways or play a game of tennis for free on our outdoor courts. Keep in touch with the latest MU events by visiting our News page. You can also find us on Facebook, Twitter, Instagram, Snapchat, Flickr, Linkedin, and YouTube for a steady stream of event information. Please browse the links on the left of this page for other specific event offerings and details.